Perfect for bedrooms or areas with limited space. Scott Dresser Desk with Mirror features solid wood legs and a body constructed from premium engineered wood. The detailed, soft closing drawers will hold all your stationery and smaller bits and pieces, right where you need them to be. 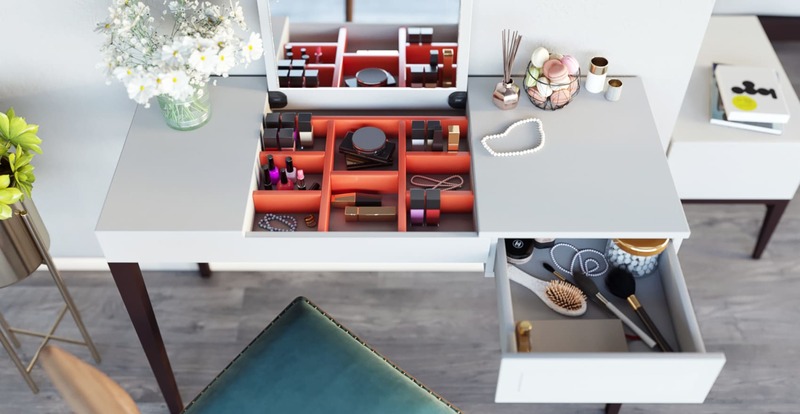 The under-desk in-built sectioned compartment will store all your jewellery and accessories. Need to check your look before you leave? Lift the desk and there's a mirror ready to go. Going from the office to dinner couldn't be easier. 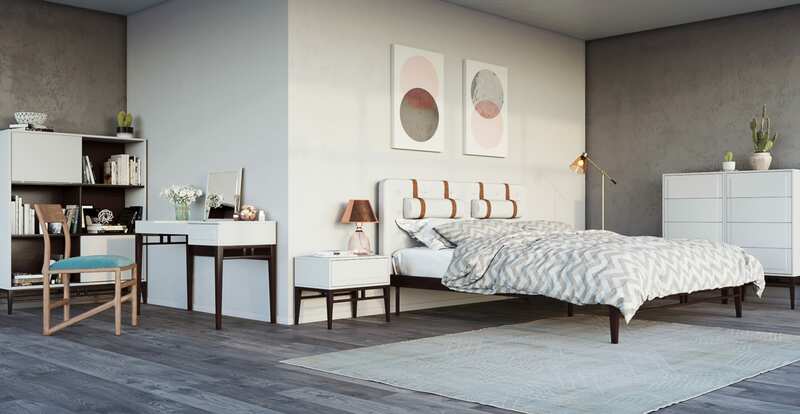 Complete the look of your bedroom. Check the entire range of Scott Collection. Get what you need. Very happy with the quality & functionality. Good news! Scott Dressing Table is currently on display in our Alexandria Collingwood studio.